When there’s no more room in Hell ….. The dead will walk … in space!?! 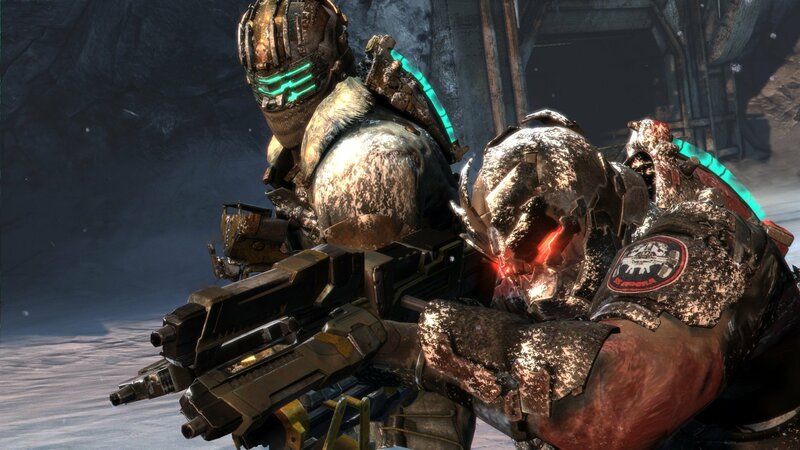 Dead space was a fantastic addition to the survival horror genre when it was first released back in ’08, genuinely scary, atmospheric and original. Winning a plethora of awards that year. It’s not hard to see why it has inspired a sequel, a comic and two feature length animated movies. Now we have a third installment just around the corner I picked up the demo and played through the new co-op mode with a friend. Surviving is less terrifying with a friend … right? There’s not much to go on, it only took us about twenty minutes to crack the demo but here are my thoughts anyway. For me I far prefer enjoying games with friends to playing them alone but at the same time I do feel the atmosphere and terror of a survival horror title is something that lends itself more to being played alone at night with the lights off, it’s just not as scary when you know you have a capable partner watching your back although that can be dependent on the title in hand. 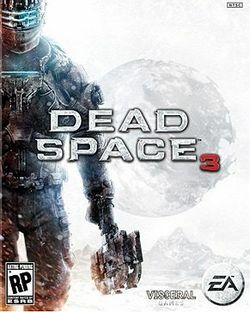 Resident evil 5 for example just wasn’t scary, not alone, not with a friend Dead Space 3 on the other hand still had my palms sweating and me jumping out of my chair once or twice even though I had back up. It’s testament to the games design that it can still provoke this reaction from the player even in it’s third iteration, the creatures are really horrific and the fact that they can appear from anywhere at any time really adds to the tension if not the realism. Clarke and Carver, They’re not friends …. yet. Issac Clarke the series’ main protagonist returns once more to reluctantly take on masses of necromorphs but this time he has a buddy. John Carver joins Issac on a mission which they hope will finally put and end to the menace that threatens the entire universe. The demo doesn’t reveal too much about the relationship between Clarke and Carver but it does suggest that things are tense, Issac has a lot of experience battling with space’s equivalent of Zombies and he knows what they are capable of, whereas John seems to be something of a gung-ho marine type who is over-confident and almost the exact polar opposite of the games main hero (I’m sure they will work out their differences and become bosom buddies by the end don’t worry). It worries me somewhat that this relationship may detract from the games atmosphere and that the narrative might descend into a buddy movie/bromance of less than epic proportions but we will have to wait and see. Gameplay wise nothing much seems to have changed apart from the addition of a needlessly complicated weapon manufacturing and upgrade system which I can already tell is going to get really frustrating during co-op playthroughs, there is nothing worse that waiting around while your partner spends half an hour organizing their inventory and crafting weapons when all you want to do it get back to dismembering dead heads (as we were taught by Dead Island). 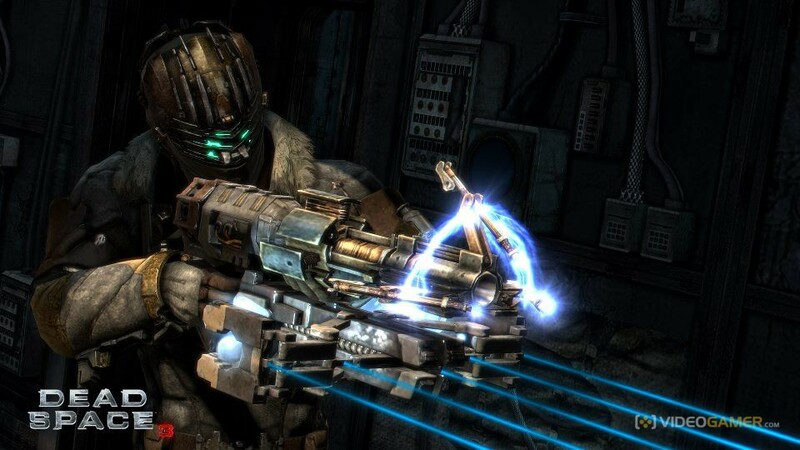 That said however the weapons you can create do look to be as lethal as the predecessors amazing equipment, I just think that the mechanic could be streamlined somewhat. 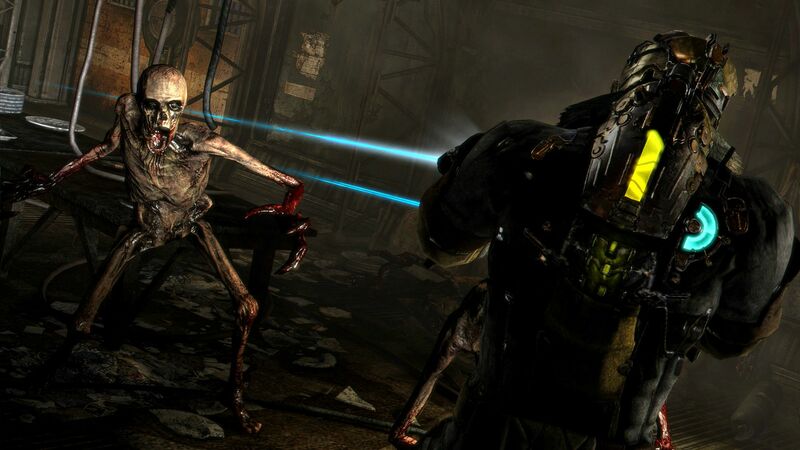 Another gripe I have with the demo is that at one point we find ourselves fighting against other humans and the game turns into something of a sub par Gears of War style third person cover shooter, even as the necromorphs appeared these soldiers (or whatever) continued to fire on us rather than turn to face this far more terrifying alien menace. We can only hope that these sections are few and that they are well interwoven into the story. In short, the fear is still there, the game looks fantastic and the design of the weapons and creatures is as visceral as ever, there are some issues but hopefully they wont plague what has already proven itself to be a fantastic series too much. And maybe … just maybe it’ll make for as good a co-op survival horror experience as the somewhat obscure … ObsCure. Hail to the <space> King. Baby! 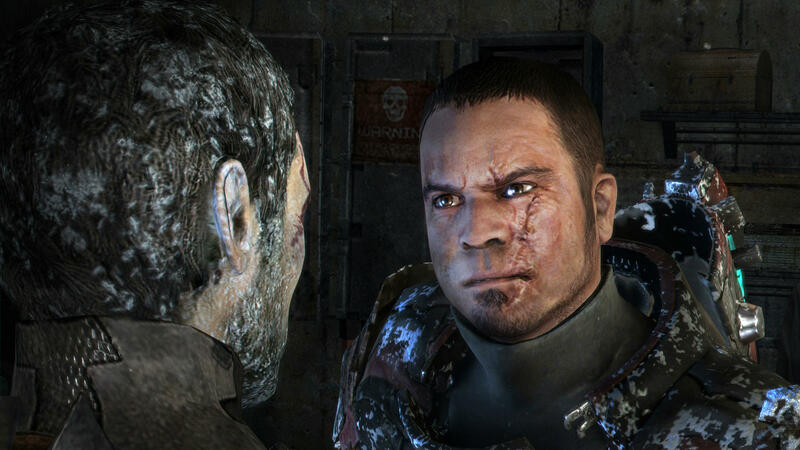 This entry was posted in Tech and Gaming Procrastination and tagged 360, Clarke, dead, EA, horror, Isaac, necromorph, ps3, sci fo, space, survival, xbox, zombies by eremenko. Bookmark the permalink. Haha, I can see the Doom comparison. I love survival horror games so maybe that makes me biased. Thanks for reading mate.